If you have ever purchased a home before, you know how many hours it takes to ensure that the investment you are making is a sound one. If you don’t put those investigative hours in at the beginning, you may find yourself living in a neighborhood that you don’t like, in a house with a layout that doesn’t fit your needs, or stuck with a money pit that you weren’t expecting. If one of these scenarios does occur, you may even decide to sell your home and move, losing a lot of money and a lot of sleep in the process. Though it’s a hard lesson to learn, it’s one from which you can still recover. Similar to buying a home, hiring a criminal lawyer requires a lot of research beforehand. However, unlike purchasing the wrong home, hiring the wrong criminal lawyer can impact more than just your wallet and sleep habits; it can impact your life. It’s always shocking to me when people invest far less time and effort researching which criminal lawyer to hire than they would if researching where to move. The potential for negative consequences is so much more far-reaching with the former. If as you search for criminal representation you find yourself in uncharted waters, here are five criteria to examine before making your decision. Referrals. How did you discover the criminal lawyer you are considering? Was that lawyer personally recommended to you? Who recommended them? Did the person making the referral retain that lawyer himself or herself? Not only is it important to obtain references for the lawyer you hire but also that you consider from where the references are coming. If you are unable to get a personal referral from someone you know and trust, there are referral services such as AVVO that can provide you with a rating as well as testimonials for the lawyers in their database. Experience. How experienced is the lawyer you are considering? How long has that person been in practice and the field he or she claims to be an expert? Does that lawyer have experience with cases similar to yours? Just as you wouldn’t visit a podiatrist for a brain tumor, you likewise wouldn’t hire a real estate lawyer to represent you in a criminal proceeding. There are many talented and experienced lawyers in practice, but unless those lawyers are specialized in the area of law you require, they will be of little help to you in your case. In fact, an inexperienced lawyer or a lawyer with the wrong kind of experience may even hinder you, causing serious repercussions for the outcome of your proceeding. Representation. Will the lawyer you are interviewing be the only lawyer working on your case? Will he or she be working on it at all and in what capacity? During your initial consultation, be sure to ask if he or she will be personally working on your case or will be delegating the work to another partner or associate in the firm, or even outsourcing the work to a third party. Many times, especially in larger firms, a name partner will merely oversee your case, handing most of it over to one or numerous members of his or her staff, some of whom may not even be lawyers. If other lawyers besides the lawyer you are interviewing will handle your case, ask if you can meet the team who will be involved in your matter, and then interview them as you would the partner you are considering retaining. Research. Who will research your case? Doing your due diligence? This point is similar to the issues I raised in point three yet sill deserving of individual attention. Research and due diligence are a huge part of your case, and its success may turn on how thoroughly, competently, and creatively that research and due diligence is performed. You want to make certain that those held responsible for conducting research and examining documents are familiar with the area of law within which your case falls. If they are not, they may not understand what is important or relevant to your case and what is not. Be sure also to ask whether the firm you are considering retaining employs a third-party for this service and, if they do, what that firm’s credentials are. Legal fees. How much will this all cost? How does the firm bill? What services, including court appearances, and costs such as postage and photocopying do the lawyer’s fees include? And, in the event you lose and, therefore, cannot work as a result of your case’s outcome, how will you be able to pay the legal fees that you incur? Though you may not want to think about it, especially if you are in a situation requiring immediate legal representation as so often happens in criminal matters, you must remember that law firms are also businesses and that they need to not only cover their expenses but also be profitable. Depending on the nature of your case, the fee structure can vary. If you are struggling to finance your case, ask the attorney you are interviewing if he or she can come up with a payment plan that will work with your individual needs. An attorney who is interested in handling your matter and feels vested in its outcome will be incentivized to come up with a solution that works well for both of you. If after doing the necessary legwork you find a criminal lawyer who you believe is competent and will satisfy your needs, ask yourself this one last but equally important question: Am I comfortable? 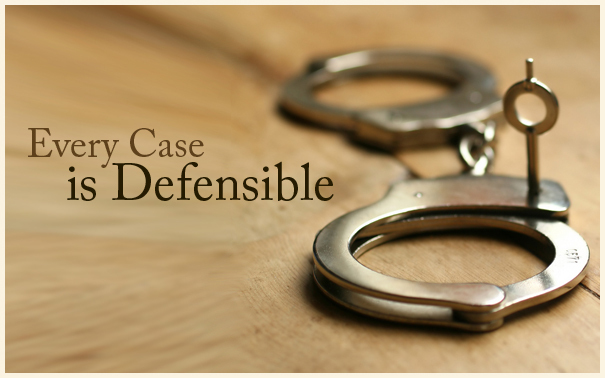 Especially in criminal cases, you may be dealing with a matter of life and death. You want to make sure that you are at ease with the person you will be sharing intimate details with about your life, details that can make the difference between you achieving a positive outcome in your case or not. Taking time to research your prospective home purchase may mean receiving the key to your next home. Taking time to research your criminal lawyer may mean receiving the key to your freedom. In my book, that’s time well spent. The choice is yours.